Tiled floors are an incredible way to spice up the décor of your home. They can add vibrate colors to any room, and of course are perfect for bathrooms due to their water resistance. However, they aren’t immune to damage. Tiles can be chipped, worn down or just become loose over time due to a number of factors. This, however, doesn’t mean you can’t use tiles to spruce up your home. You only need to make a call to us. Whether your tiles are loose, chipped, broken or damaged we can repair and replace them for you and keep your tiled floors looking amazing. Over time tiles can become loose. This can be for a number of reasons. Problems with adhesiveness, the load your tiles have to bear or, if outside, the weather. Loose floor tiles are not only annoying and unsightly, but can be a potential tripping hazard, especially for younger, unaware children. Why allow this problem to continue when you could call us? We are experts in tile and floor repair. Our tile repair services will have your tiled floors and surfaces looking great and being safe again. Tiles are a great aesthetic tool that many of us use to make a variety of rooms in our home look stunning. Chipped or otherwise damaged tiles simply diminish the hard work we all put in to make our floors look great. This is often caused by something heavy falling onto the tile. Not only does this look terrible, as mentioned, the sharp edges can have the potential to cause injury to bare skin. 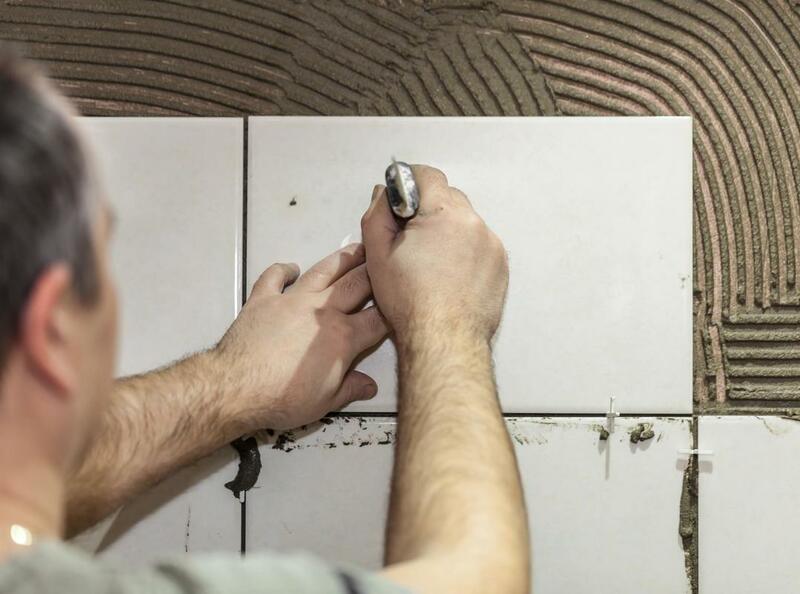 There’s no need to deal with problems chipped tiles can bring, simply talk to us and we can repair any damaged tiles and keep things the way they should. Bathrooms are the most popular room in the house for tiles. This is due to their resistance to water. However, although the ceramic of the tile is water resistant, the grout often is not. This means that, over time, as the water seeps into the grout of the tile it effects the adhesiveness of the tile, potentially making it loose. Along with this, it may also allow water into the floor surface beneath the tiling, causing tremendous damage. Our tile and floor repair service can help prevent further or unnecessary damage in this situation, either by replacing the tiles or repairing the grout of the tile. Beyond tiled flooring, other floors in your home can also be damaged or become loose over time. We’ve got you covered there, too. Our expertise when it comes to floors extends far beyond tiles. Safe, well-maintained floors are crucial for every home, we think. Your family’s everyday safety is at stake, after all. So, if you have any problems with you floor, you can be sure we can solve them. We can help to repair the floors of your home so they remain safe your family and looking their best. We have are the best Asheville handyman service when it comes to floors.